"Wings helped me with everything financial. They were there to make sure I wasn't getting taken advantage of and got everything I deserved as a new immigrant and released lone soldier." Adam Talmud was born and raised in East Brunswick, New Jersey. He made Aliyah in the summer of 2012 after graduating from Binghamton University where he studied Business Management with a concentration in Marketing. 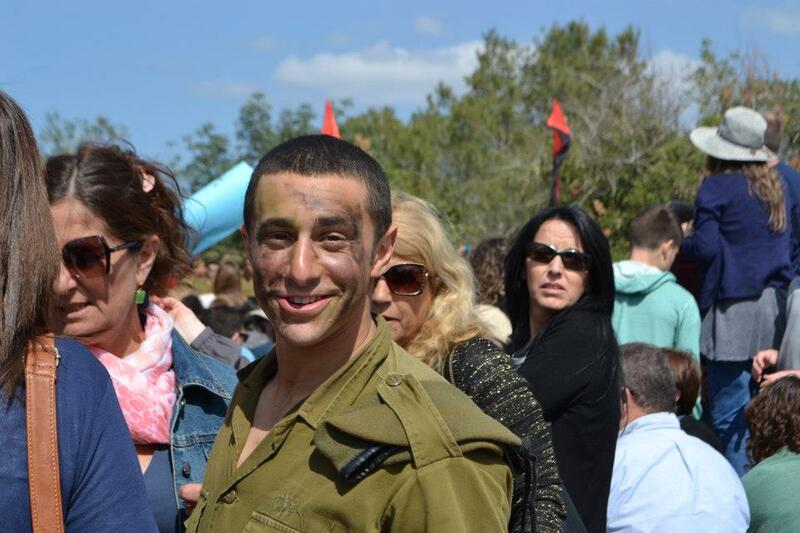 Adam served as a combat soldier in an elite artillery unit before his release from the IDF. "I came to Israel to serve in army and didn’t know if I would stay in Israel after. I made the decision to come serve in the IDF because of my grandparents who survived the holocaust. They met in a DP camp after the war and made Aliyah together. My grandma always tells this story that Golda Meir asked her to come to Israel because she was so popular and Golda knew that if my grandma moved to Israel, more people would follow her. The stories my grandma tells always change but that one stays the same so I think it might be true. So my grandparents moved to Israel. My grandpa fought in the war of Independence and the Suez Canal war. My aunt and uncle were born in Israel and then they moved to America where my dad was born in Brooklyn. I grew up with Israel being a very big part of my life - always very important. I'd come a few times growing up on different programs. When I was in Israel after high school on Nativ, a gap year program, it was the best year of my life. It really made me fall in love with the people, the culture, and the food. I went back to America after that year and not being in Israel made me realize how important Israel had become to me. I was only reading Israeli news. Anytime someone said something anti-Israel I was there to defend. It became the most important thing in my life - the thing I was most passionate about. My girlfriend at the time was studying at IDC in Israel and I came to visit her once. There was this moment I had sitting on the train across from a soldier my age. It just clicked. What is the difference between me and this kid? The only difference between us is that he was born here? Because of him I am able to be here on vacation. That was the first time I started to think about joining the army. Still, at that point it was just a thought. A thought I found a little insane. At college I started to think about it more. What if for the rest of my life I will think 'what if'? I didn't want to live with that regret." Adam made Aliyah with Garin Tzabar in August 2012. He lived on Kibbutz Urim in the Negev and drafted into the army where he served for two years as a combat soldier in an elite artillery unit. "It is very hard serving in the army when you don’t have to. That alone is pretty nuts and then doing it in a language that you're not strong in is even harder. I definitely have some funny stories of miscommunication from my time in basic training." My decision to stay in Israel came mostly toward the end of my army service. I wanted to see what really living here would really be like. I took part in the Wings pre-release workshop. They taught us about all of the real life stuff in Israel like laws and practices and our rights and benefits. Its nerve racking - any major life change. It's the same as finishing college. For the first time you're on your own and not on this path being told all the time what to do. I guess that got delayed for me until after the army. The unknown can be nerve racking. Wings helped me so much with everything financial. They were there to make sure I wasn't getting taken advantage of and that I got everything I deserved as a new immigrant and released lone soldier. My Wings financial advisor, oh man, Tzvika. I remember the first time I saw him and he was so mad I didn't come sooner. There was money I had already missed out on. He is a wizard. He looks at my bank statement and knows literally everything. What's amazing is nobody knows all of this stuff like he does. There's no one place to see all of this and it's always changing and Tzvika knows all of this. He is the only person I know who really knows all of this information. Unfortunately I still need his help today dealing with issues caused by a cellular contract." Adam's younger brother, Jesse, made Aliyah in August 2015, just three years after Adam. Jesse is also a lone soldier, serving as a combat soldier in the Nachal Brigade. Adam is currently building his own start up in the financial tech sector.